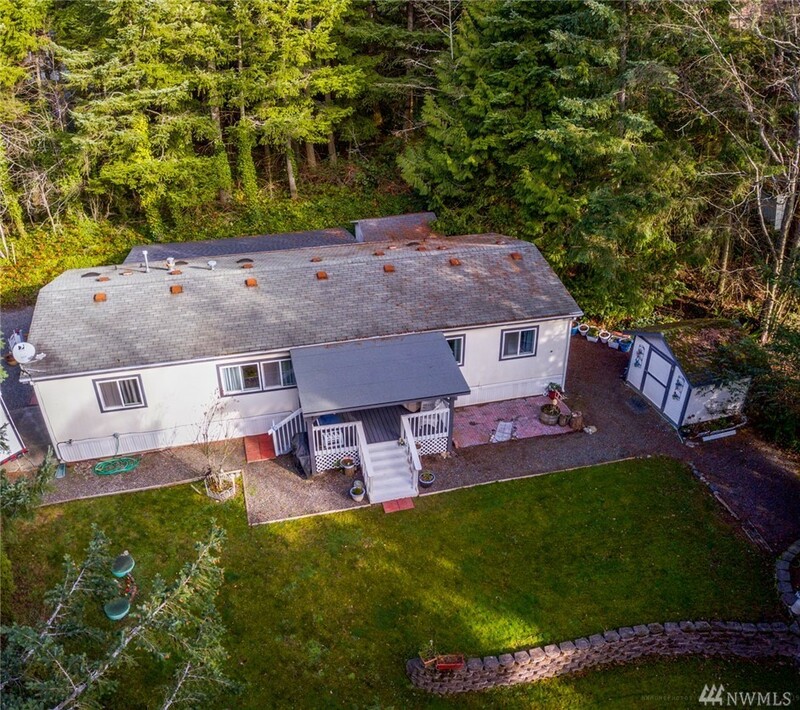 This bright 1,375 sf open-concept home sits high above the rest in a private setting close to downtown, shopping & Lake Whatcom. Soak in the territorial view out toward Bellingham Bay. Huge level yard to garden or play in. Spacious 3 bedroom/2 bath modern floor plan. Vaulted ceiling. Oversized tub in master, tile countertops & several skylights. Storage outbuilding. Many upgrades: fresh paint (inside & out), new stove, 2 covered porches, & newer carpet. Must see this darling home to appreciate!